I met Jesse Giles Christiansen after posting my short story ‘The Demon of Gloamingspark Yard’ on Amazon. Jesse left me an amazing review, and it really caught my attention. Not only was I incredibly grateful for his generous energy and positivity, his review also arrived at the perfect time as I’d only just started putting my work ‘out there’. Which is always a frightening prospect. 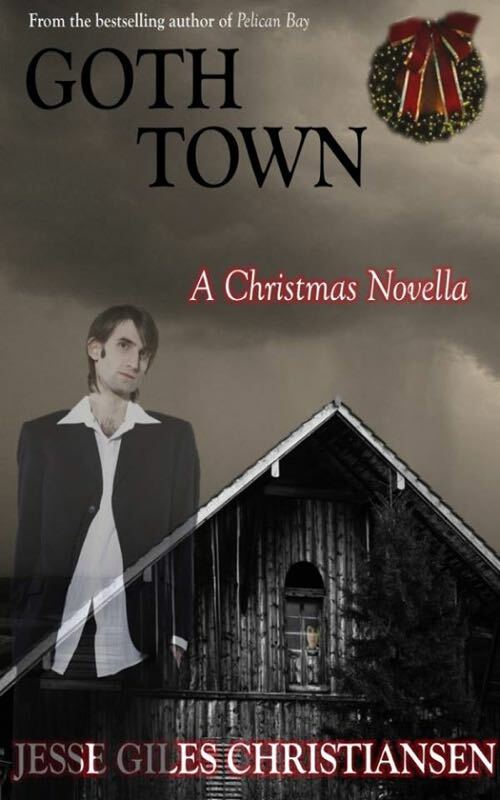 So I’m thrilled to be able to return the favour by featuring Jesse’s new book “Goth Town” on the occasional blog. And what a timely, seasonal slice of darkness it is! JAKE RAYNER is the only one, other than Samantha Bryant, who had the vision. He’ll never forget the first time it happened. He was out for a walk in the woods by himself, a practice highly discouraged by the Overseers. He was always surprised at how little everyone questioned the rules of the Overseers. Many of them seemed so ridiculous. Then again, they owed everything to them. There would have been no life here at all, if not for them. That afternoon the hazy air was happy and it seemed to seep into everything. Jake was reckless to allow it to seep into him. His feet, his legs, his fingers, even his thoughts, were reckless. I know they’re going to find me. I just know it. Then they’re going to hook me up to the Recalibration Machine again. But that day he didn’t care about a single thing. He was mad with life. Life was mad in his veins. Life was livid in his veins. Everything spoke to him. The birds’ songs were like shrilly operas stuck in fortissimo. The creek sneaking along by his side crackled and popped the way a long-asleep radio wakes up hungry and eager to play. The wind in the pines moaned softly like a lonely lover. He felt dizzy at first, his head so light he thought it might float away. Something surged inside him that could have been swallowed lightning, rising, writhing, and climbing up to his head. Memories were demons; they were even more forbidden than being all alone; they were not allowed to even start. When they went in for their weekly screening, any evidence of memories prior to the Anti-Emotion Movement was immediately erased. It was for their own good. Really. They had to believe in the Overseers. They gave them everything, and asked for so little in return. The Overseers picked them up after the Great Fog. He just stood there and could not stop the memory. Oh, it was so warm. That swallowed lightning curled up, balled up in his head and took to nuclear fusion, forming a miniature sun to melt all the work of the entire Overseers’ brilliant technology. But what an afternoon it was. The first flash was of shiny boxes wrapped in fancy bows under a tree that someone had stuck in a living room. What a bizarre image. Why would someone put a perfectly good tree in a living room? Perfect madness. Perfect madness, indeed. And the poor, poor tree. The tree was wrapped with winking lights, and as he stood there, letting this memory take root, he could see the pines around him dressed the same. They were beautiful, and he overflowed with the urge to take all the pines in the forest, shrink them down, and put them into everyone’s homes. He heard footsteps, and the beautiful, horrible, absurd memory vanished. The memory vanished like the scent of a woman riding with you on a train—a woman you know you will never see again. He waited for the Goth Town Police to arrest him. And he cherished those seconds as the taste of a curious and wild memory remained for a few seconds on his lips. Those few seconds were more blissful than the rambunctious air that crept all through the forest that afternoon and shot rays of perilous hope into everything. In those few seconds, he tried to chase the echo that was home to that taste. That scent of a woman on a train. He tried to return to it with the desperation of a legless man waking from a Boston Marathon dream. But at least the taste was there when they handcuffed him. You can also visit this author at www.jessegileschristiansen.com. It’s that time of year again. The nights are drawing in, the shadows are spreading. Crows caw melancholy cries in the woods and things scamper in the undergrowth. 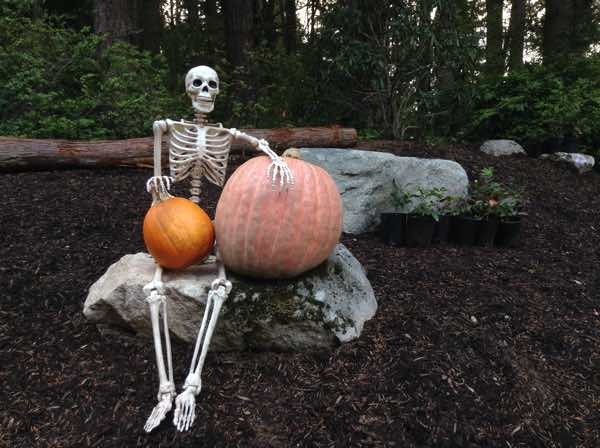 Soon, legions of little monsters will descend into the streets, their eerie faces lit by the glow of pumpkins. I love Halloween (no, really). Not only does it suit my writing, it also means I can walk around in my cape and top hat without causing a stir. 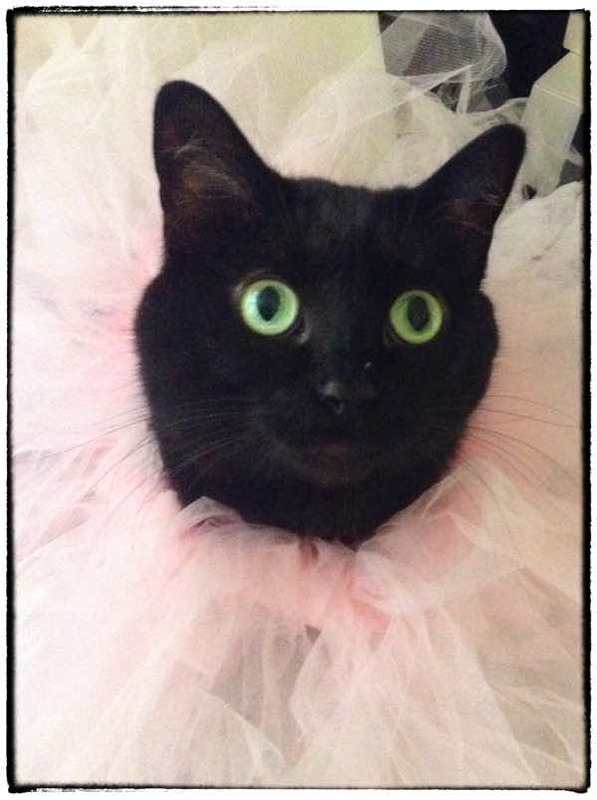 It’s a perfect time of year to blend in. Unlike Christmas, or Valentine’s Day. Our cats like Halloween too, and it seems like they’re planning something. I never ask what. Some things are best left unknown. The weather and general creepiness is seeping into my writing. Currently I’m reworking a previous novel and it’s going really well. Hopefully there will be something to share early next year. Expect a tale of myths, witches, dark magic, and lots and lots of trees. 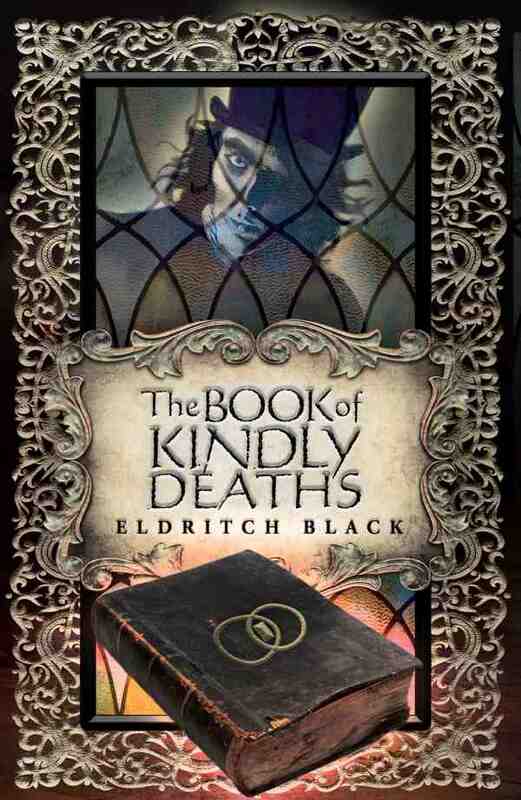 In the meantime, The Book of Kindly Deaths is available and it’s doing really well. The book has had some amazing reviews, and I’m really grateful. There’s also a competition running (at the time of writing) to win a copy of the book as well as a rather special necklace. You can find more by clicking here. There will be another competition coming in November to win a signed copy of the book and a necklace, details to follow. And no, the competition has nothing to do with mustaches. 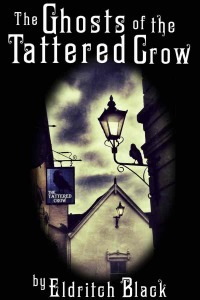 In the meantime, to celebrate Halloween, my most Halloweeny story of all (for now)‘The Ghosts of the Tattered Crow’ will be free on…Halloween. So if you’d like to read a tale of ghosts and dark murder in Victorian London, look no further. There are no tricks involved with this deal, merely treats. Depending on your tastes. With a little over a week to go until The Book of Kindly Deaths is released, I decided it was time to tidy my old book case. I had to find a place for the new novel, and make sure to leave plenty of space. 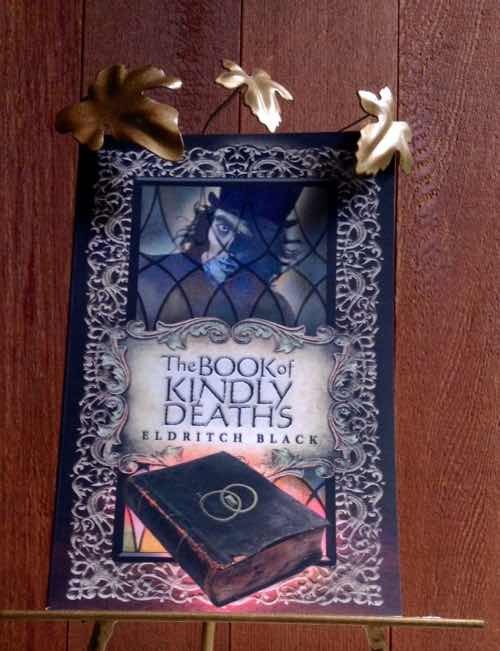 Mainly because The Book of Kindly Deaths contains so many wild and magical things, and they need plenty of leg room. There was no need to dust or file tomes in alphabetical order in this instance. Instead, I revisited these old tales and gave them a little polish, as well as a new ending here and there. For the last few months, I’ve been writing a book about three ghastly medieval genies, and their imprisonment in an old tower in a wilderness in England. Also, of their escape, which comes at the hands of a boy filled with very dark thoughts. Usually, Ive found in such tales, it’s mainly good people that discover genies and make bad choices. This time, it’s a thoroughly wicked boy who is granted his wishes and makes abysmal choices. As well as stirring centuries old evil. I finished the book recently and gave it to my intrepid agent. This part of the process always leaves me with a book-shaped hole to fill. 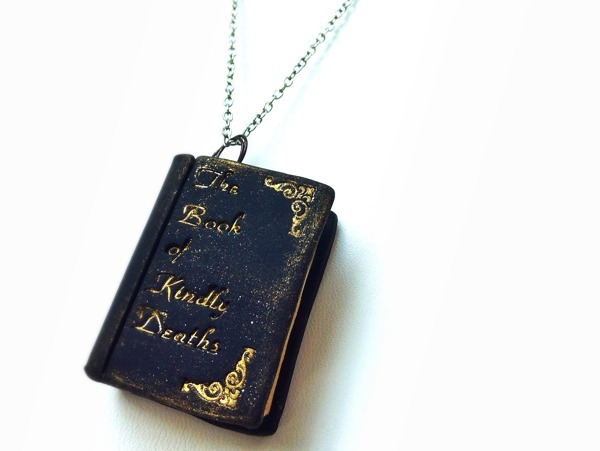 Yet with The Book of Kindly Deaths coming out, I wanted to keep myself free for promotion and marketing. So I decided to revisit my old short stories. Two of which have been on Amazon for the last couple of years. It’s fair to say, like most writers, I’ve learned a fair amount in the interim. So the rewriting process was fairly straightforward. But rather than just jiggling words around, I decided to add some new elements. 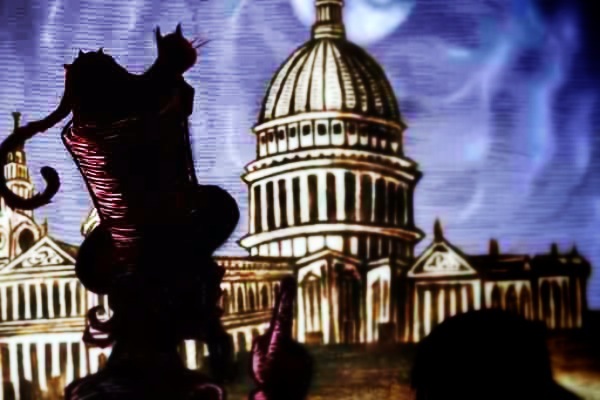 So now, The Demon of Gloamingspark Yard and The Ghosts of The Tattered Crow contain new content, which shines a little more light on the connections that link them. If you have the Kindle versions, you should see the new updates within the next week. And if you haven’t read either of these stories, you can find them on my author page here. 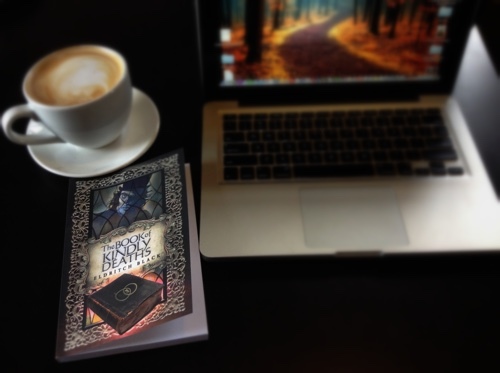 Both are set in Victorian London and involve magic, ghosts, demons and secret places. I plan to upload the new versions within the week. The other two stories to get a new lick of paint, were “Three Curses for Trixie Moon” and “The Festival of Hate and Bad Tidings”. Both were originally written for the Ambush Books anthologies, “Magical Mayhem” and “Love Stinks!”. I was always really fond of my character Trixie, from “Three Curses for Trixie Moon” and planned to write more about her. So I gave her tale a few new menaces and left it open for further adventures. “The Festival of Hate and Bad Tidings” also got a revamp, although this one a lot more subtle than the others. This was more of a sparkle and shine, than new plot developments. This process is a bit like autumn cleaning. Rather than spring cleaning. Which is apt for me, as I love this time of year and the darker months soon to follow. All of these new versions will appear on my Amazon page for now and will be across all platforms next year. If you visit that page, you will also see The Book of Kindly Deaths has a preorder button. So if you can’t wait till next Tuesday to lose yourself in the magic and horror that befalls Eliza Winter, now’s your chance to order. Once The Book of Kindly Deaths is released into the wilds next week, I plan to head back into the woods. There’s a book waiting in a dark clearing which needs to be rewritten and finished. I last saw it in a grove of whispering trees, in a place where sinister things were stirring.